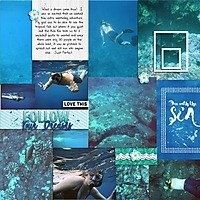 1 - Layout of the pictures on the mood board itself. 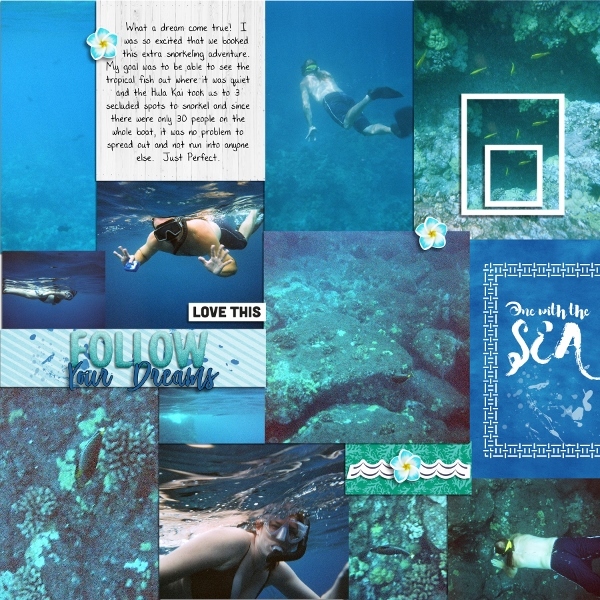 3 - The repeated word "Folllow"
My Layout follows the dreams and goals that we had on our snorkeling adventure to be able to find cool reef fish away from all the hordes of people. 11 Years ago, on our Honeymoon, we visited Oahu and I never felt like we really were able be one with the sea and its creatures. 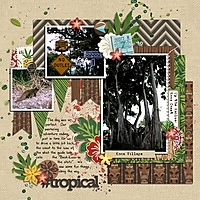 Title is Allison Pennington - All the Feels alpha (retired) for "follow" and then Font for "Your Dreams"
Journaling Reads:"What a dream come true! I was so excited that we booked this extra snorkeling adventure. My goal was to be able to see the tropical fish out where it was quiet and the Hula Kai took us to 3 secluded spots to snorkel and since there were only 30 people on the whole boat, it was no problem to spread out and not run into anyone else. Just Perfect"
Wow! I love everything about this! Terrific photo series and wonderful blocking. 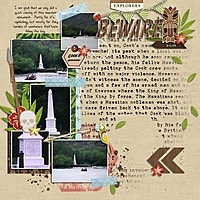 I really like how you used the papers, journal card and the themed elements. Beautifully done! I really like the way that you've blocked out your layout. I would love to have the opportunity to snorkel the way that you had the opportunity to do.